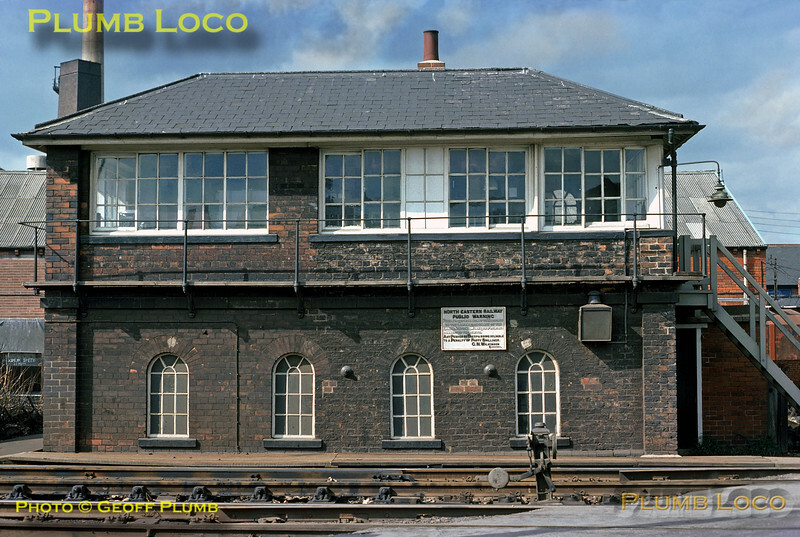 Castleford Gates Signalbox, North Eastern Railway, in May 1976. The mechanical gates had already been replaced by this time, but the line was still signalled by semaphores. The box still has an NER trespass notice and a couple of old lamps. Several wagons can be seen behind the box in the sidings that served Lumb's glass works, adjacent to the railway. The box still stands today, though boarded up and redundant. Slide No. 13637.